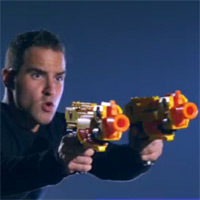 Nerf took to Facebook this morning to announce the N-Strike Elite Stockade. August 1 will be the international release date, while the USA will get It later. Hey Nation, some of you may have heard about an addition to the N-Strike Elite line, the N-Strike Elite Stockade blaster. Well, the rumors are true, and the N-Strike Elite Stockade blaster will be seen on shelves in some areas of the world on 8.1. Members of Nerf Nation in the US will not see the Stockade blaster in stores….yet, but if you’re lucky enough to get your hands on one, be sure to share info here. We always aim to bring you the best in new Nerf technology, so keep your eyes peeled for more blasters from the N-Strike Elite line in the future! The UK Toys R Us website has the blaster listed, but the site is down for maintenance right now. 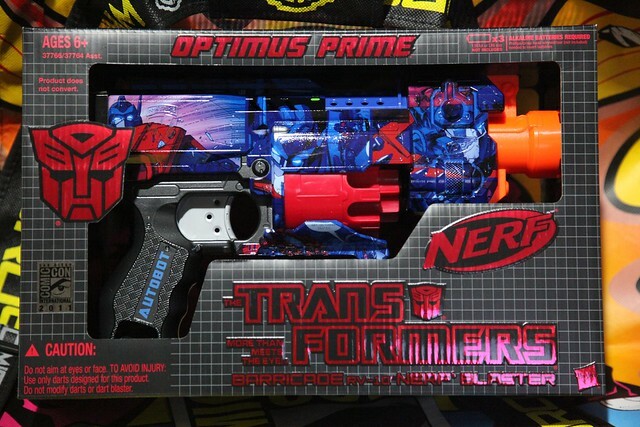 Their servers might be a bit slow right now, but you can buy this blaster here for $25. And this site has a code for 10% off. A little video advertising and showing some tips regarding the usage of this blaster. Just like the Stampede ECS and Alpha Trooper videos I did. According to the timer it fires ten darts in 2.5 seconds. The Stampede got 180 Darts per Minute and the Alpha Trooper 270 rounds per minute.